^ Cook, Don. 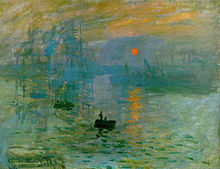 9 Masterworks, 5 by Monet, Seized in Paris - Gunmen Stage "Art Theft of the Century". The Los Angeles Times. 28 October 1985 [16 November 2010]. ^ The World's Greatest Art Heists. Forbes. 2008-02-12 [2010-11-16].